Information Resources, Inc. (IRI) has released its results of the “Top 10 New BA Craft Vendors Based on Dollar Sales” for 2015 and it places Florida-based Funky Buddha Brewery as the front runner. Following close behind in 5th place is North Carolina’s White Street Brewing Company. Of the top five breweries, these two have something in common—The Brandit. The Brandit is a brand development agency with 13 years experience in the craft beverage industry. Their role is to build authentic brands that connect with people in a meaningful way by means of storytelling and incredible design. “With Funky Buddha, you can expect the unexpected. People are curious about our brand because we do what we want to- by brewing outrageous style beers and having a blast while doing it.” Linn states. When asked why so many people are picking up Funky Buddha’s brews, he responded, “In stores our beers stand out not only because they’re fun and wild, but because the characters on the packaging tell the story of the beer itself—the ingredients, the flavors, how it came to be. People want to be a part that. 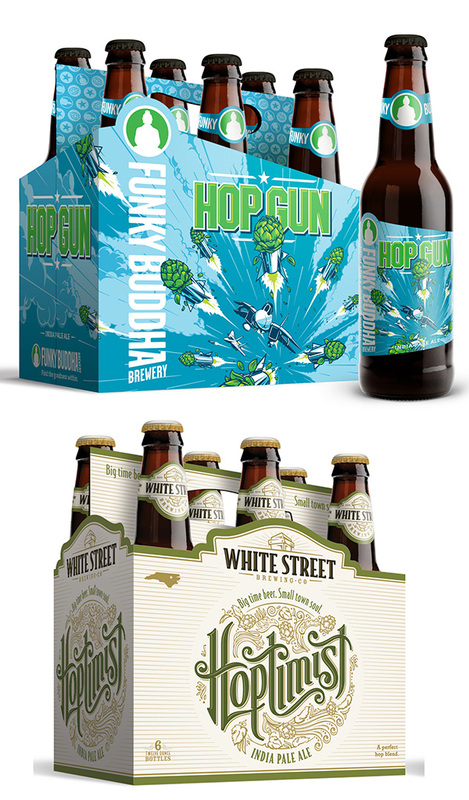 White Street Brewing Company, in Wake Forest, N.C. comes in at number 5 in the ranking. The Brandit based their brand refresh around the honest, approachable, small town vibe that White Street embodies. Custom hand-lettering and nuanced illustration details bring character to these clean packaging designs. White Street’s white packaging is the calm in a sea of noise you find on the shelves. The Brandit is a boutique brand development and marketing agency. Our creative talent and unwavering devotion to results allows us to create brands that are… Compelling. Strategic. Powerful. Timeless. Awesome. We create brands that work. Kitsock, G. (2016) Feeling the squeeze. The New Brewer, 33(3), 78-86.